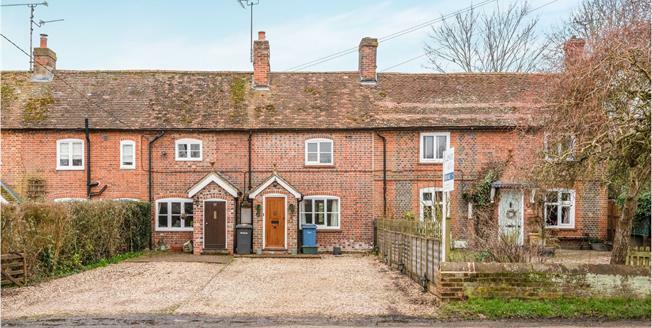 This charming cottage has been much improved by the owner and now offers well presented accommodation, with under floor heating to the ground floor, combined with character features. The beamed sitting room boasts an attractive traditional fireplace fitted with a woodburner and the modern kitchen is well appointed and enjoys an attractive outlook over the garden and countryside beyond. To the first floor there are two bedrooms with the rear bedroom enjoying the rural views. To the front, the gravelled drive provides ample parking and to the rear is a garden with patio, lawn and rural outlook. Although ready to move into, this home has fantastic potential with scope to extend the kitchen and expand up in to the loft as the neighbouring properties have, subject to the usual constraints.